Not only is this post an insight into what I got up to on Christmas day last year but it also features the outfit I wore and how I did my make up for the big day! A copper themed outfit featuring this sparkly bow jumper from H&M to start of the year, which I paired with burnt orange tights. I'd just discovered Alice Hannah knitted accessories when I did this shoot and had fallen in love with loads of their hats and scarfs! This 'love' hat is from the via ASOS and I'm still wearing it this year. the center of this particular outfit post. 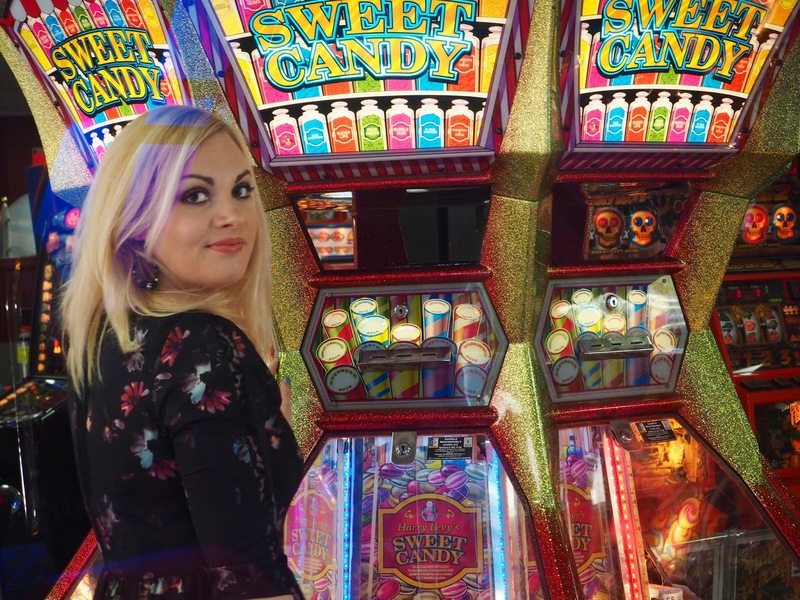 I love how the pattern in this beautiful dress kind of mirrors the arcade lights! I am very lucky to have built up a gorgeous collection of coats over the years! This grey beauty is from Oasis and has a detachable faux fur collar making it so versatile. 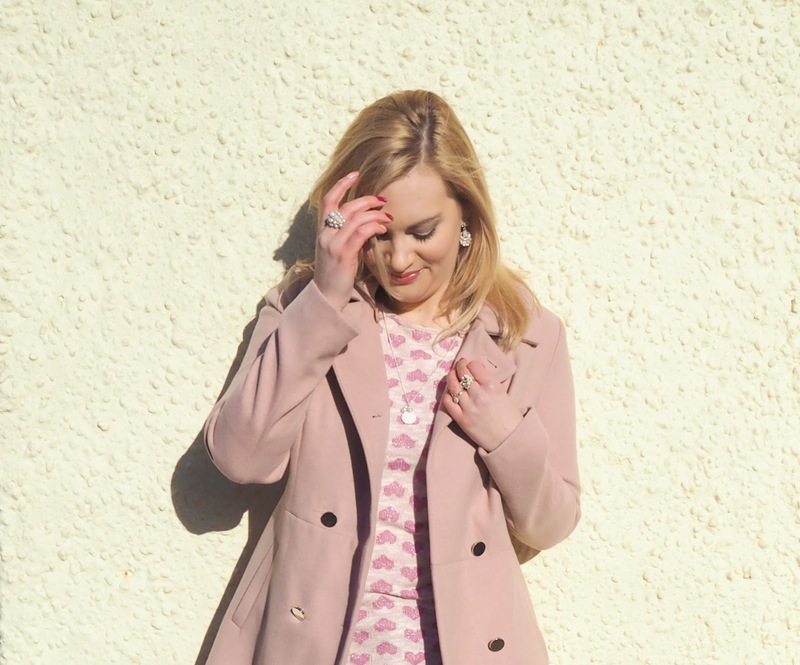 A little sweet Valentine's Day themed shoot featuring my (then) new pink coat from Oasis. I love this coat it's so chic. You can tell by my hands in some of these pictures just how dam cold it was though! Ahh I was only wearing this jumper again today, it's such a favourite! I do love a theme and once I put on the fox jumper I decided to add the ring and fox brooch too. This was a really fun photoshoot I did with my friend Hayley after a Brighton Blogger Meet Up in March. It was to show off my new flamingo necklace & phone case! I seem to have a thing with jumpers with cute prints! This time it's from Yumi and I wanted to have a complete telephone themed going on. 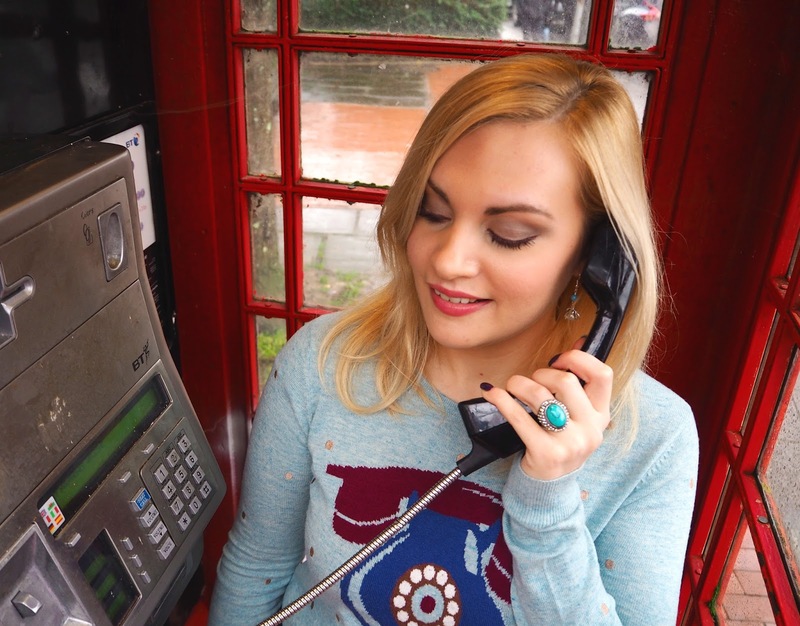 I managed find an old red phone box in Arundel to shoot this and I added my own handmade telephone earrings too. I remember getting a lot of quizzical looks on this particular photoshoot (as I posed & twirled around a phone box) but I've learnt to get used to that by now! I loved the smoky atmosphere to this one! It really reflects the slightly smoky pattern in my shirt and looks so moody. I remember being freezing by the end of this though considering the shirt was only thin! Back in May I visited the Charlotte Street Hotel in London. The surrounding streets were just so pretty I absolutely had to get some outfit pictures done! 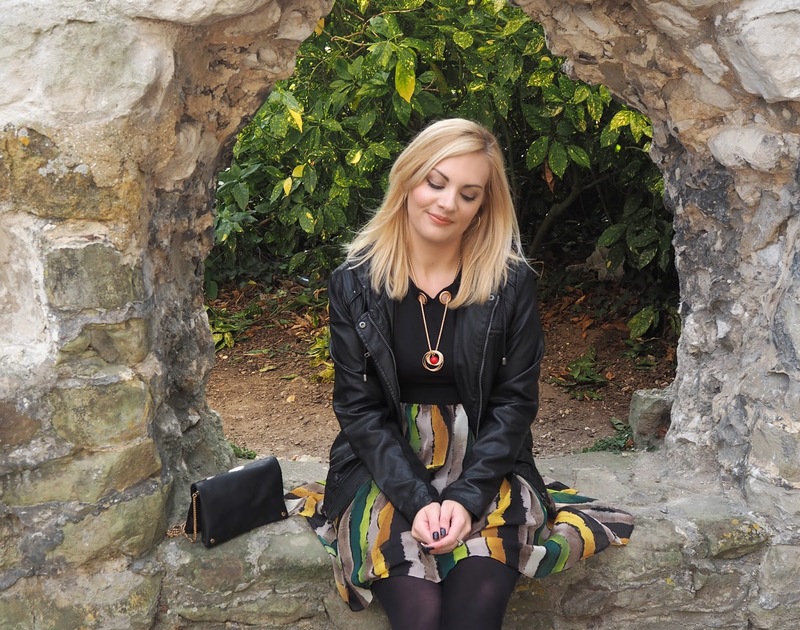 I adore this versatile pinafore dress from Oasis, I still wear it a lot. This post is dedicated to my birthday celebrations back in July! 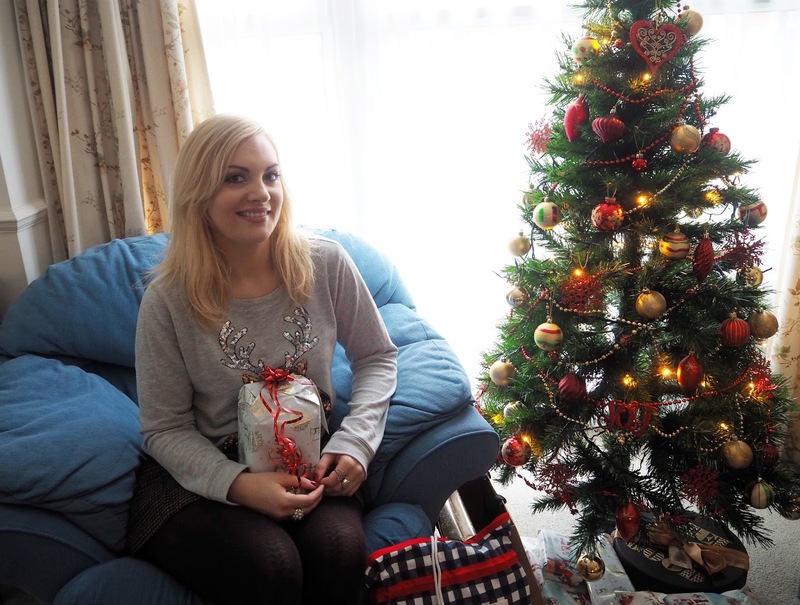 Including what I got up to with my friends and family, a look at my presents plus the outfits I wore. Ahh one of my favourites this year. So we all know that in a past life I was actually a mermaid! So to revisit my glittering fish tail roots I decided to create a mermaid inspired outfit and make up look on dry land...dreamy. 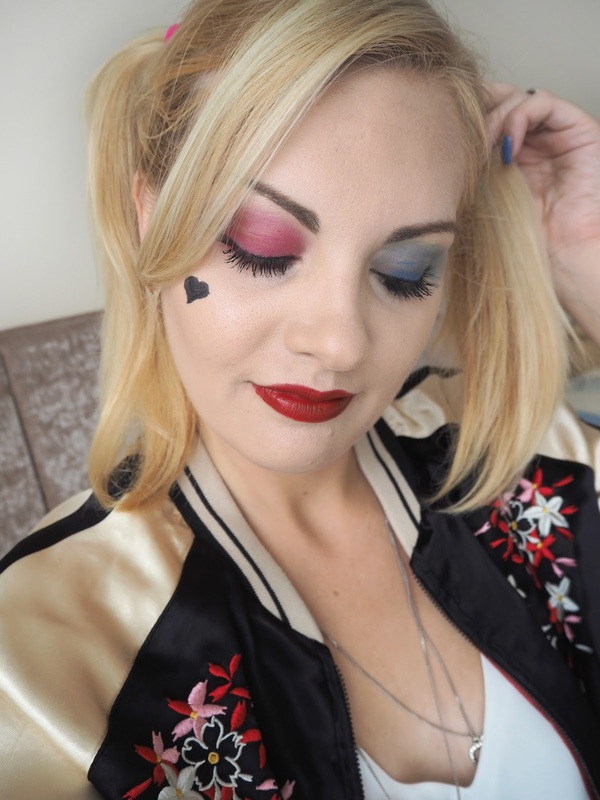 I shared this Harley Quinn inspired look for Halloween as I believe it was in the Top 5 Halloween outfits for women in 2016 and it was fun and relatively easy to create. I actually wore this makeup look and outfit when I went to see Suicide Squad at the cinema back in August! I really enjoyed styling up this dress from Dressfo, I just love the gorgeous Autumn colours running through the skirt. This photoshoot was done in Arundel, as many of my outfit shoots are, as it's so picturesque and there are so many different areas & backgrounds in the town to choose from! Finishing of the year in style is my most recent fashion post where I share this outfit I styled for party season as well as a few picks from the high street for some last minute ideas. 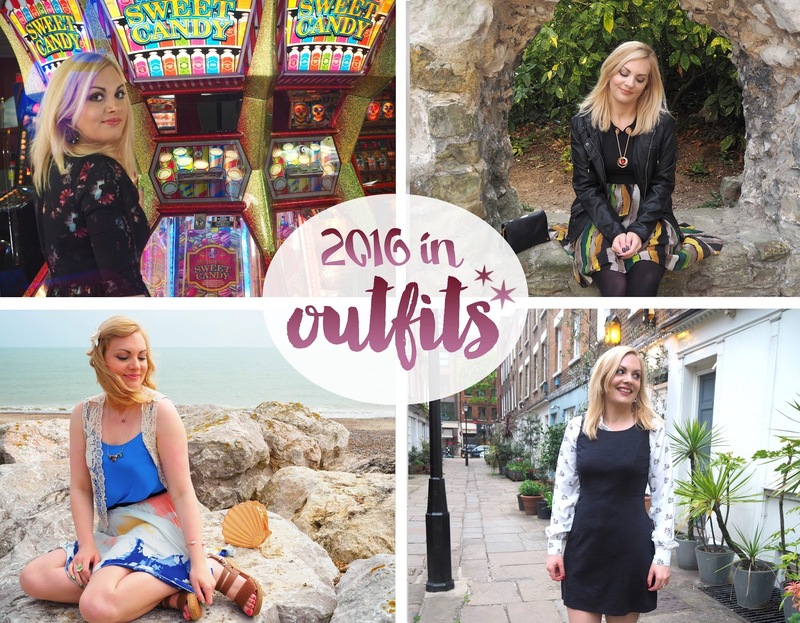 I hope you enjoyed looking through my 2016 outfits, let me know which look you liked best! Your outfits are always put together so nicely! I love that dress you wore to the arcade.